Tedious, the processes were not even before. 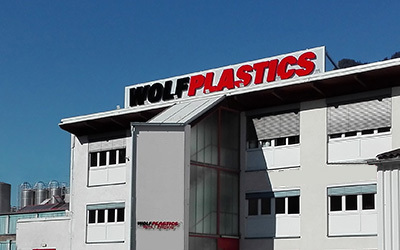 Nevertheless, WOLF PLASTICS did not want to be content with the status quo and was looking for more. Better said less. The result: a new organizational structure, accelerated processes and highly satisfied customers. “Can you tell me right away?” Sometimes there are astonished reactions. The customer who requested WOLF PLASTICS had not expected an immediate, binding decision. “Yes, that’s the case with us,” is the answer. To be as simple, competent and ad hoc as possible – that’s what the company is thinking about. For this purpose, a new, decentralized structure has been developed, which relies on independent action and decision-making. It took twelve months before the new form of organization was developed and modified for use in day-to-day business. As of June 2018, the group’s Austrian plant was converted into chambers. What’s new since then: A manageable management team meets every day for a short meeting, where it also unexpectedly makes its operational decisions. For all department heads and employees in management functions, there are precise descriptions of functions – and thus the clarity of what can be implemented by the team, or by strategic guidelines of the management. The effects are already evident. Never before have their own scope of action been so great, the processes so simple, the decision-making paths so short, and the structure so future-oriented.